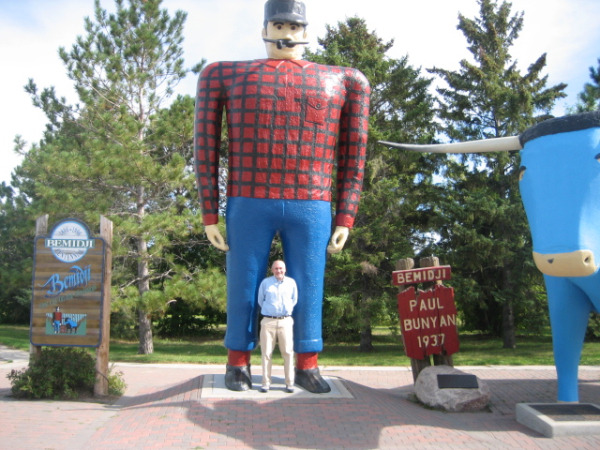 Is the Paul Bunyan statue in Bermidji, MN the second most photographed landmark in the US after the Statue of Liberty? That is what I was told this past week when visiting Bermidji on a statewide road trip presenting LERN/Augusoft Best Practices Seminars for MnSCU programs. My traveling companion was Lamar Noriega from Augusoft. During the trip we learned that the shortest home run in baseball history was 2 feet! What a week of information sharing and gathering! PHOTO: Greg and Paul Bunyan.